With an abundance of restaurants in the buzzing 852, whether it’s yum cha, hot pot or traditional tea houses – the competition is getting fierce when it comes to Chinese cuisine. 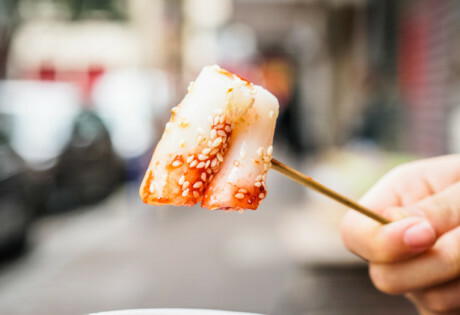 From sophisticated Shanghainese fare to Cantonese dim sum delights, we’ve rounded up our fave Chinese restaurants in Hong Kong that represent the best of the diversity and deliciousness that the country has to offer. Located on the 28/F of Hotel Icon in Tsim Sha Tsui, Above and Beyond offers unrivalled views of the Hong Kong skyline and some of the city’s most admired Cantonese cuisine. Helmed by Executive Chef Paul Tsui, the menu presents a selection of classic and contemporary dishes as well as an impressive wine list of vintages from around the world. Signature dishes include wok-fried lobster with egg white and black truffles, crispy chicken and wok-fried diced whole abalone with lily bulbs and asparagus in XO sauce. Featuring pan-fried pork dumplings with spring onion, crispy shrimp rice rolls, the weekend dim sum lunch is a popular choice. If you’re looking for fancier Chinese restaurants in Hong Kong, Above & Beyond delivers with sky-high views and sky-high quality dishes. Combining old school Hong Kong dai pai dong food with the spirit of late-night Chinatown hangouts in 1960’s New York, Ho Lee Fook (meaning good fortune for the mouth) quickly became one of the most well-known Chinese restaurants in Hong Kong since its opening in 2014. From hip-hop and rock ‘n’ roll beats to underground vibes, this noisy but charming restaurant is a classic example of cha chaan tengs (fuss-free eateries) and is perfect for a night out with friends. In true dai pai dong style, Executive Chef Jowett Yu serves family-style sharing plates that are both contemporary and classic while combining influences from his Taiwanese heritage. On a visit to Ho Lee Fook, don’t forget to check out the cabbage and pork dumplings, the spicy Chongqing style chicken wings, and last but not least, the roast wagyu short ribs served with a jalapeno puree and green shallot kimchi. 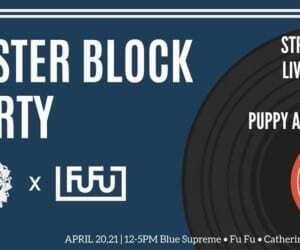 For those new to Ho Lee Fook, be sure to get there early, as the no-reservations policy (for parties of less than 5 people) means you might be in for quite a wait! If you’re looking for authentic Cantonese cuisine made with the finest ingredients, you really can’t beat The Chairman. 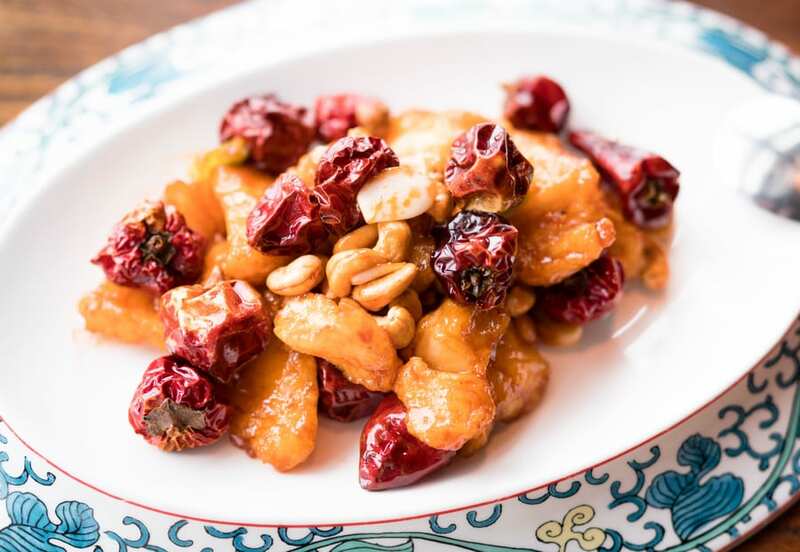 Using locally sourced ingredients, products from local stores and seafood from local fishermen, it’s no surprise the restaurant has remained as one of the most influential Chinese restaurants in Hong Kong since its opening, which was almost a decade ago. Aiming to blend traditional and original flavours together, the culinary team believe that even the simplest dishes should be made with finesse. For example, the razor clams steamed with aged lemon and mixed herbs are garnished with lemon aged over ten years, while the stir-fried wild clams with chilli jam and basil are made with slow-cooked oxtail featuring herbs that are more expensive than the meat! 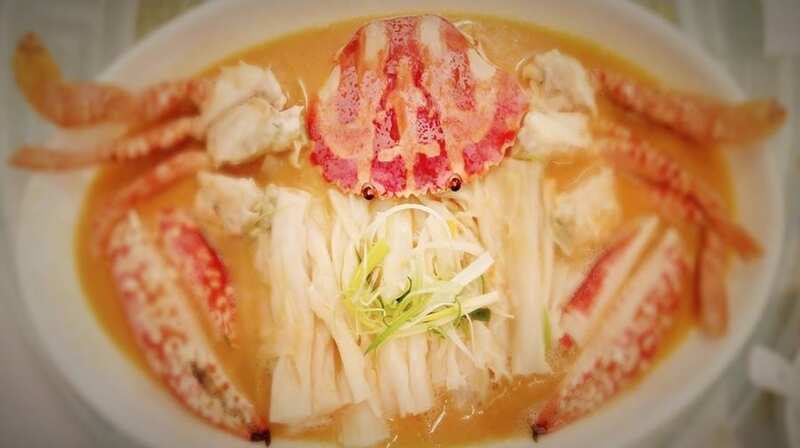 A trip to The Chairman, however, is not complete without an order of steamed flower crab in aged Hua Dio wine and chicken oil – the restaurant’s most famous dish. Winning the hearts of critics and gourmands around the world, Tim Ho Wan tops the list as the cheapest Michelin-starred dim sum in town. With a no reservation policy, a trip to the “dim sum specialists” requires patience, but don’t fret, it’ll be well worth the wait. Grab a number from the counter and select your dim sum delights from the checklist paper menu, offering everything from the classic shrimp and minced pork siu mai to taro spring rolls and the famous char siu bao (baked BBQ pork buns). If you’ve got room left for dessert, the signature steamed egg cake is a popular choice that will leave you feeling suitably satisfied. To get your fix of Tim Ho Wan dim sum without getting hangry, we recommend that you arrive early and avoid busy lunch and dinner times. Though, we’ll say this good value dim sum is well worth the wait. Tucked away in Mid-Levels, this oldie but goodie is one of our favourite vegan restaurants in Hong Kong. The Buddhist vegan restaurant serves top quality traditional cuisine using organic vegetables in a simple but serene ambience, while the décor pays homage to its Buddhist roots with bamboo details and intricate ornaments scattered around the restaurant. We love the easy-to-use English menus and especially recommend ordering the shredded taro and mushroom spring rolls, matsutake mushroom pouch with black truffle sauce and the crispy deep-fried enoki mushroom sprinkled with spiced salt. At lunch, they also serve some of the best vegetarian dumplings in Hong Kong. Plus, they offer the most indulgent vegan hot pot during winter time – and it’s all-you-can-eat – best Chinese restaurants in Hong Kong for vegans! When it comes to Chinese restaurants in Hong Kong, the city has got you covered with everything from Shanghainese and Cantonese to Chiu Chow, from the Chaoshan region in China’s Guangdong Province. 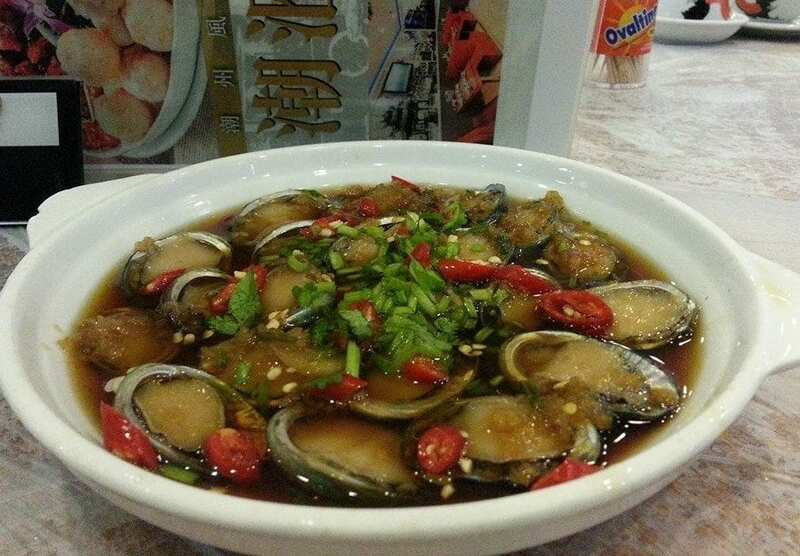 Also known as Teochew cuisine, Chiu Chow is known for its seafood and vegetarian dishes using flavouring that is much less heavy-handed than most other Chinese cuisine. They also put an emphasis on poaching, braising, steaming and stir frying. Start your meal at Chao Hui Guan with an oolong tea before tucking into the popular steamed flower crab, clay pot duck with taro or fresh oysters cooked with eggs and starch (resulting in a delicious omelette drizzled with fish sauce). Though if you’re feeling especially adventurous, we’ve heard on the grapevine that the crispy goose intestines are a must-try. A popular choice among both locals and tourists, Spring Deer is famous for both its perfectly bronzed authentic Peking duck and the restaurant’s boisterous buzz. With little to no décor, guests are seated at large circular tables before preparing to feast on a selection of Northern Chinese specialities. Here, your duck will be carved for you tableside and served with steamed pancakes. If you fancy something different, however, the roast lamb is a long-time favourite. As you get stuck into your pancake-making fun, you’ll soon forget about the hectic and loud service and who knows, perhaps you’ll even agree with us when we say it only adds to the experience! Famed for its award-winning Northern Chinese cuisine, traditional décor and jaw-dropping floor-to-ceiling harbour views, Hutong has certainly got the wow factor. After a recent makeover, the all-new design continues to build on the charm of traditional hutongs – meaning a Chinese neighbourhood of traditional courtyard houses – with elegant Sino-chic interiors, red paper lanterns, carved dark lacquer woods and intricate details. 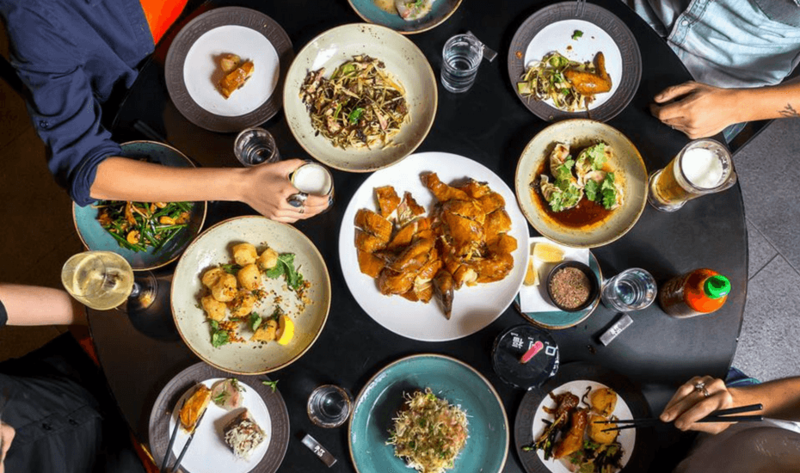 Those who enjoy fiery Sichuan and Shandong flavours, Hutong’s signature Red Lantern featuring crispy soft-shell crab packs a punch with Sichuan dried chilli while the ma la spicy prawns and aromatic Peking duck are sure to whet your appetite. Besides the stunning restaurant area, there is also the new Moon Gate Bar where you can sit back and enjoy a classic or Chinese-inspired cocktails. Hutong is simply unbeatable when it comes to sophistication, authenticity and drop-dead gorgeous views. Definitely one of the must-visit Chinese restaurants in Hong Kong. Helmed by Chef Wong Chun Fai, one of Hong Kong’s top Sichuan chefs, Qi House of Sichuan has been the proud owner of one Michelin star since 2016. 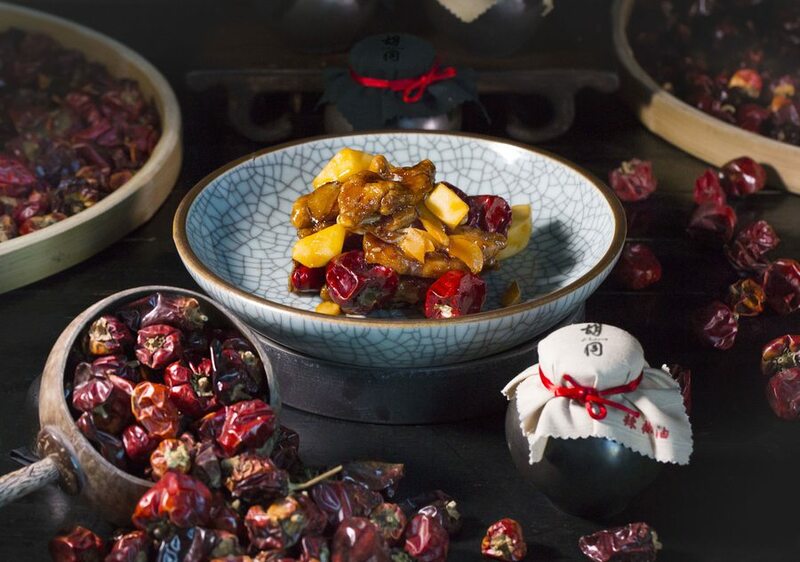 The menu reflects authentic dishes representing ‘the seven flavours of Sichuan’ – spicy, aromatic, sweet, bitter, sour, peppery and salty – with a contemporary twist. Stepping into the sleek and sultry restaurant, guests should prepare to experience an array of explosive and mouth-watering flavours that are certainly not for the faint hearted. Should you wish to sweat out the chilli in the Hong Kong heat, the terrace lends the perfect spot. To make it easy for guests to choose, the menu is classified using symbols that distinguish numbing dishes from hot to fiery, as well as vegetarian dishes and those recommended by the chef. From chilli oil wontons and mala chicken to sizzling lamb, Qi House of Sichuan will definitely stimulate your senses. It also has lots of options for vegetarians, which is why it made it onto our list of best meals in Hong Kong for 2018. If you like your food spicy, a trip to Twelve Flavours will be perfect for you. Located in the heart of Kennedy Town, this affordable Sichuan restaurant would be hard to miss with its striking exterior decorated with handwritten Chinese couplets, red lanterns and traditional window frames. The interior is equally charming with hanging birdcages and cartoon panda illustrations, while the menu is not for the faint hearted. 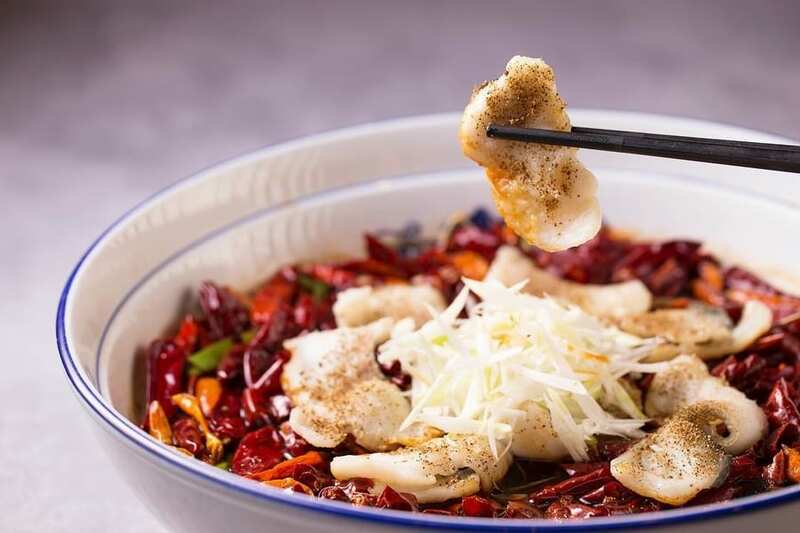 Signature Sichuan dishes include boiled fish with pickled cabbage and mala xiang guo (dry hot pot) featuring stir-fried vegetables and meat with numbing chilli pepper sauce. These savoury and spicy dishes will surely tempt your taste buds and tease your sense of smell. And if the dishes prove to be a little too spicy, don’t miss the Sichuan-style jelly dessert that will freshen up your palate in no time. 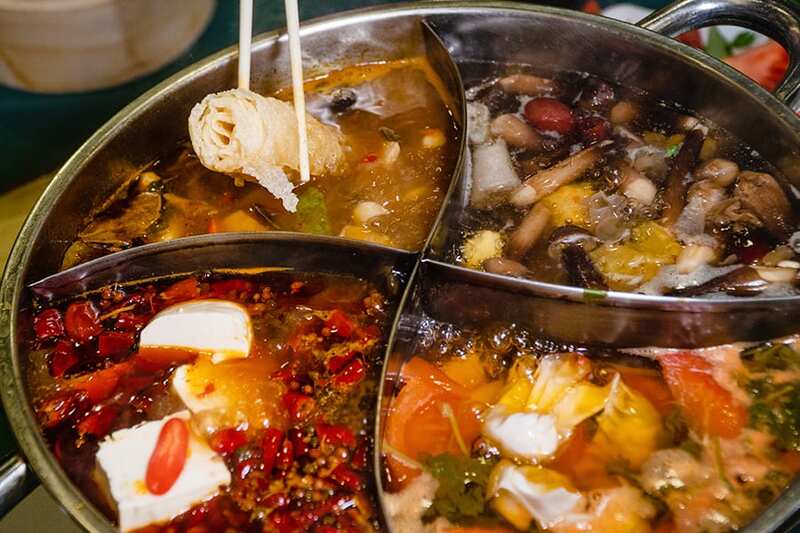 We’ve also rounded up our fave hot pot restaurants in Hong Kong! Known for its family-style dining and scrumptious Shanghainese cuisine, Lao Shang Hai has long been one of locals’ favourite Chinese restaurants in Hong Kong. 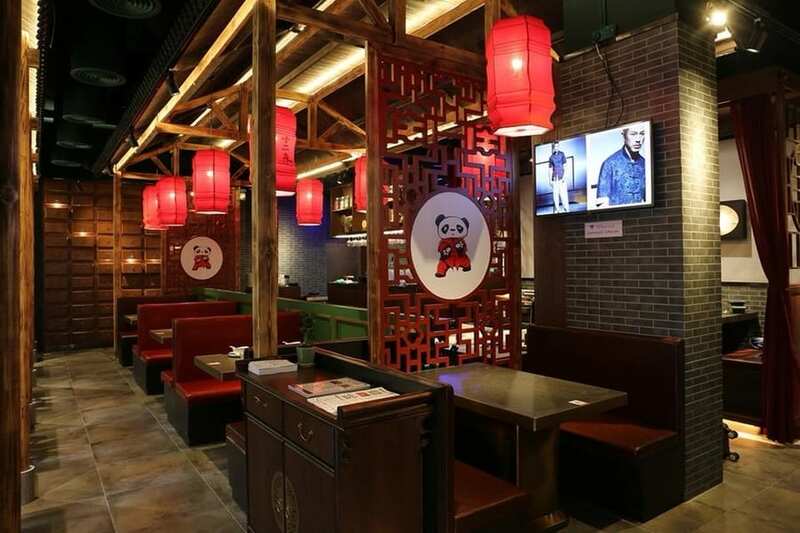 Their food is both hearty and delicious, including the classic xiao long bao, steamed pork buns and of course, plain flour noodles in chicken soup – simple yet quintessentially Shanghainese. When the hairy crab season begins, Lao Shang Hai imports some of the freshest and succulent crustaceans from Taihu in the Jiangsu province. Though the décor is old school and the restaurant is super understated, Lao Shang Hai has garnered a popular reputation for over twenty years and is showing no signs of stopping anytime soon. Housed within Tai Kwun, Old Bailey brings an authentic offering of food and tradition from the Jiangan region. 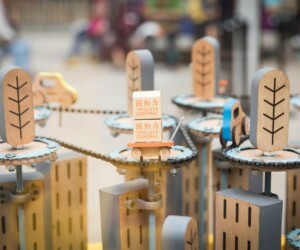 This covers a variety of cities including Shanghai, Nanjing, Yangzhou, Hangzhou and more lying south of the river. The menu offers a balance of cuisine including a Shanghainese dim sum programme that includes (cue drum roll) not only one but three takes on the most-loved xiao long bao. In addition to offering special vegan and vegetarian menus, much effort has been taken to avoid preservatives and additives. 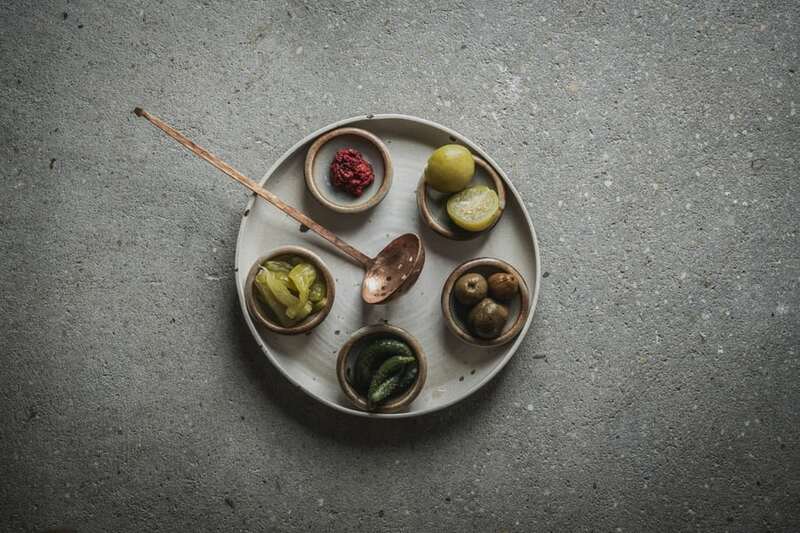 Over eighty per cent of vegetables used are organic, meats are diligently sourced, and its in-house pickles and fermented condiments all form part of the impressive menu. 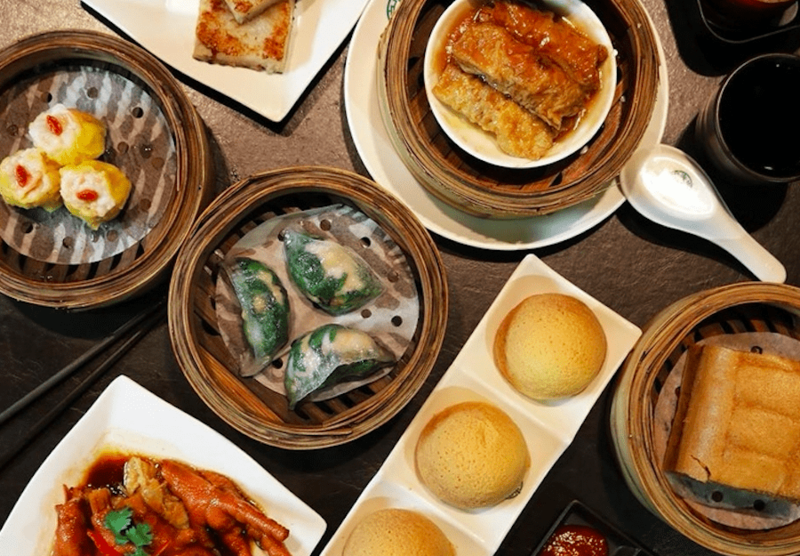 From the Teakha Menu, featuring a variety of high quality teas and home-style Asian cakes, to the all you can eat xiao long bao and dim sum, Bao Brunch, we love the variety on offer at Old Bailey. And for those much-needed after work drinks, the 2-for-1 happy hours offered daily from 4.30pm to 8.30pm is just what the doctor ordered. Had your fix at these Chinese restaurants in Hong Kong and looking for more dining options? Find out our favourite French restaurants, enjoy a Neapolitan-style pizza at Homeslice or indulge yourself while learning on these Hong Kong food tours. Hira waved goodbye to The Big Smoke in 2015 as she embarked on a new adventure in the 852. When she isn’t ticking another destination off her ever-growing bucket list, you will find her exploring the city for the latest restaurants and bars, or baking a lemon drizzle cake in her cosy kitchen.